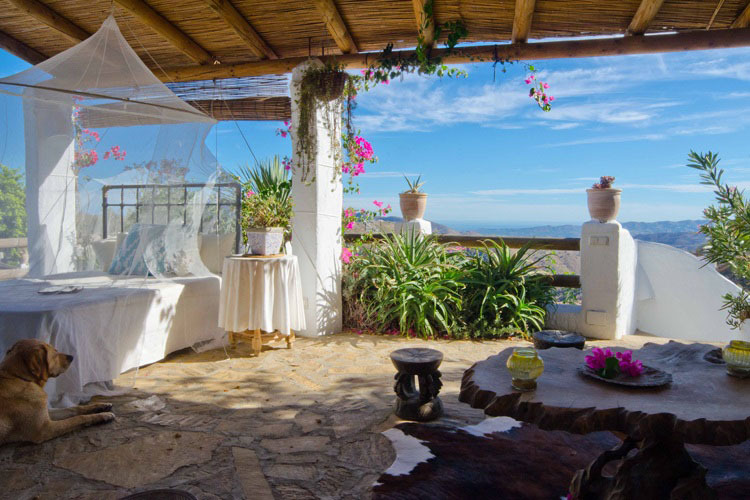 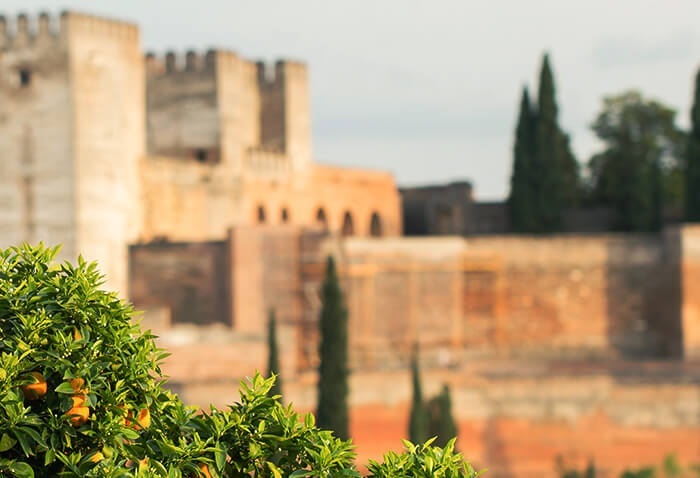 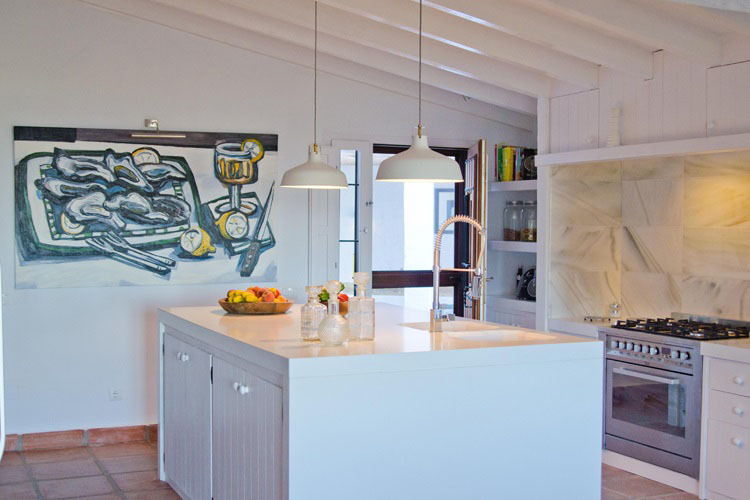 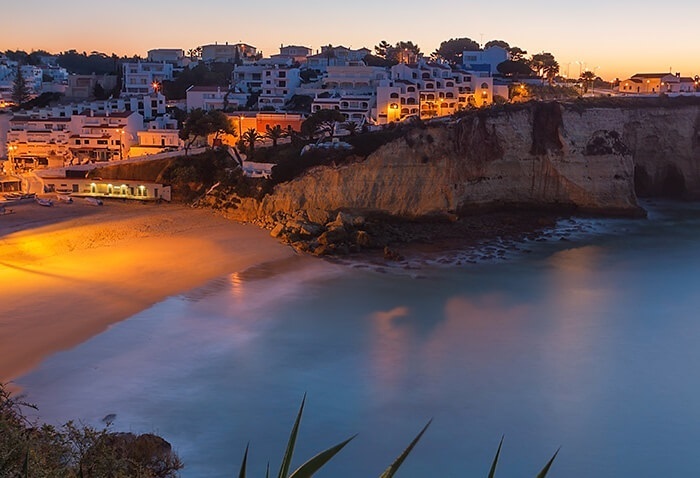 Perched upon a private hilltop overlooking the Mediterranean and the Moroccan coast this beautiful traditionally-styled villa offers luxury accommodation for up to 6 guests. 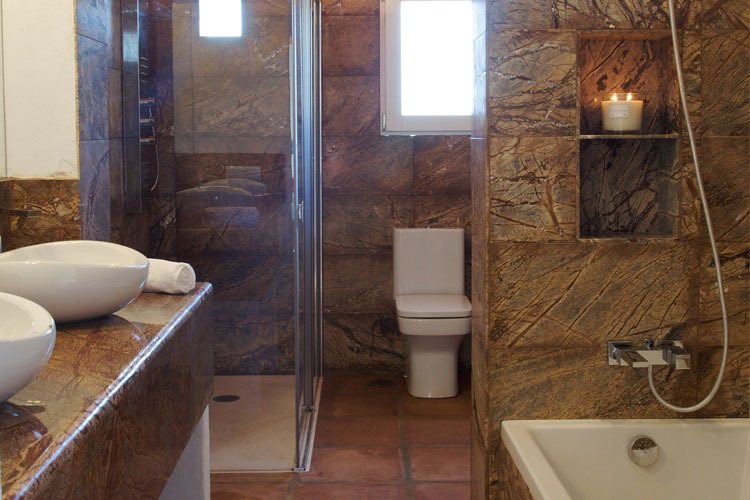 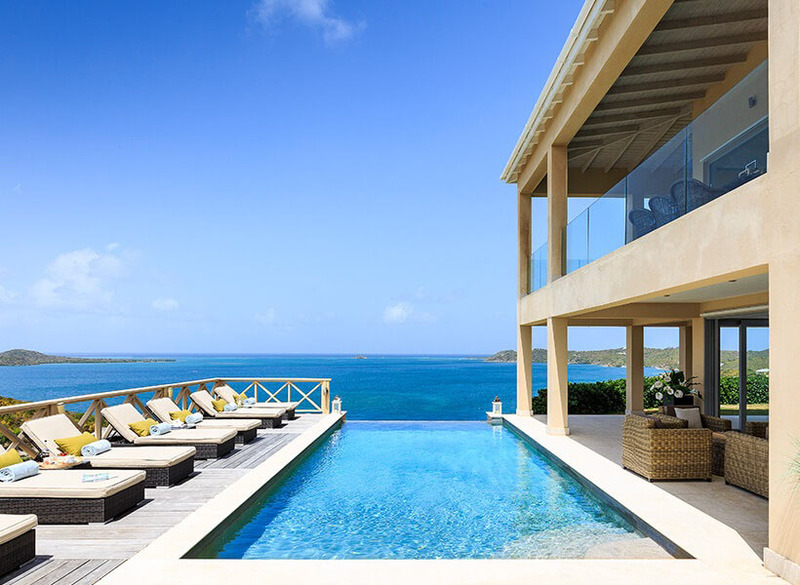 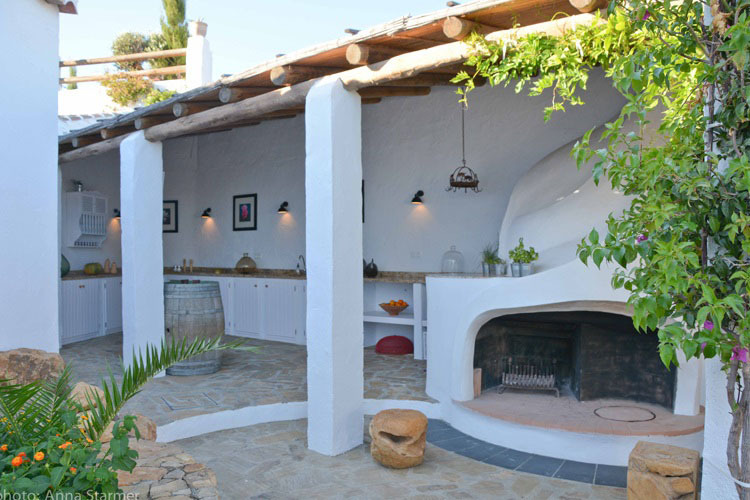 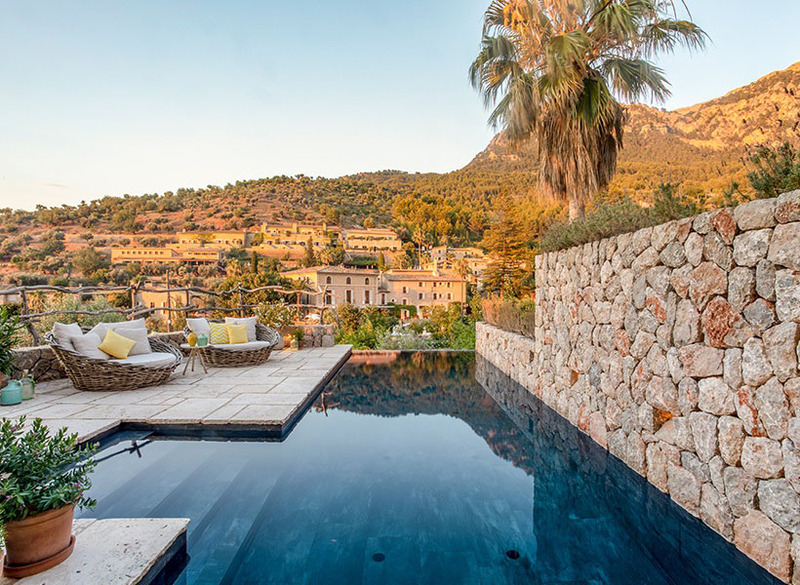 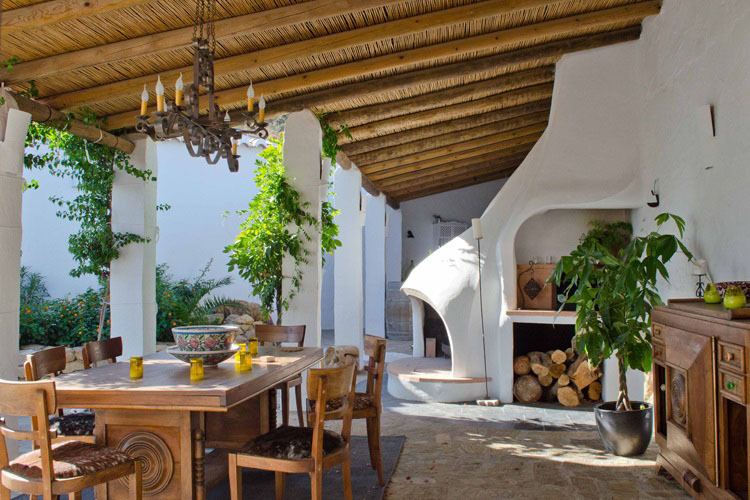 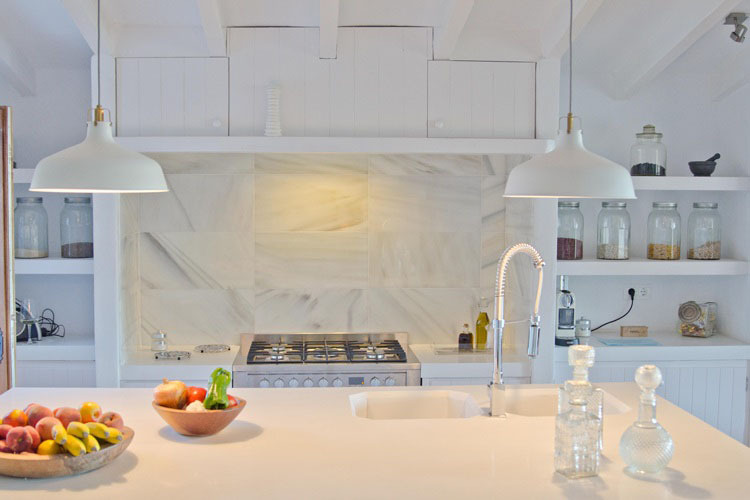 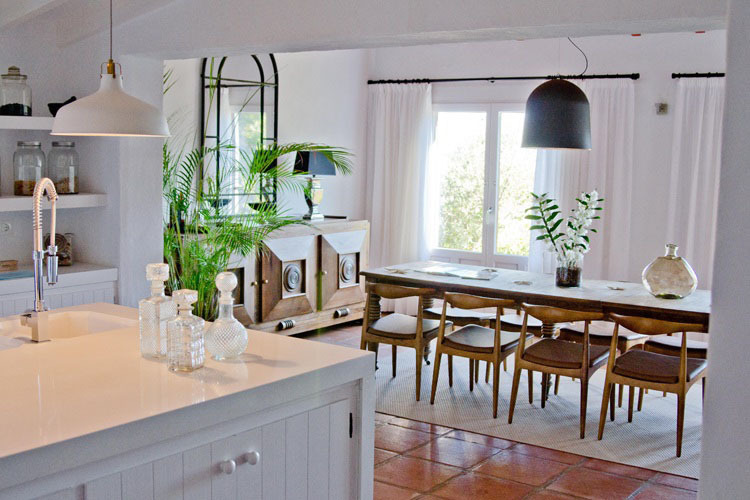 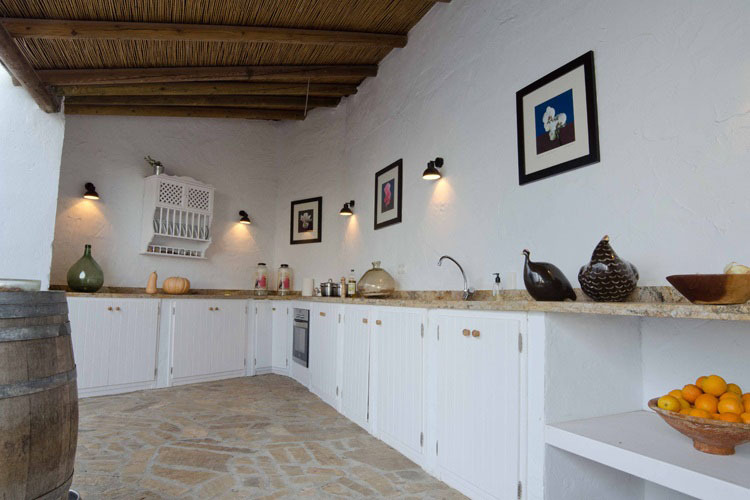 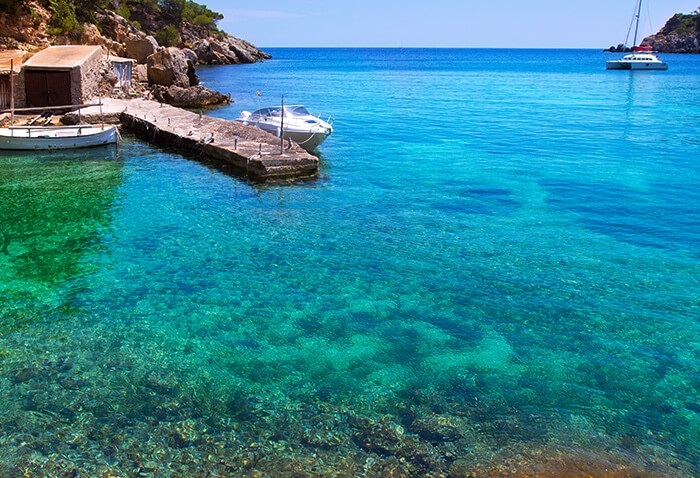 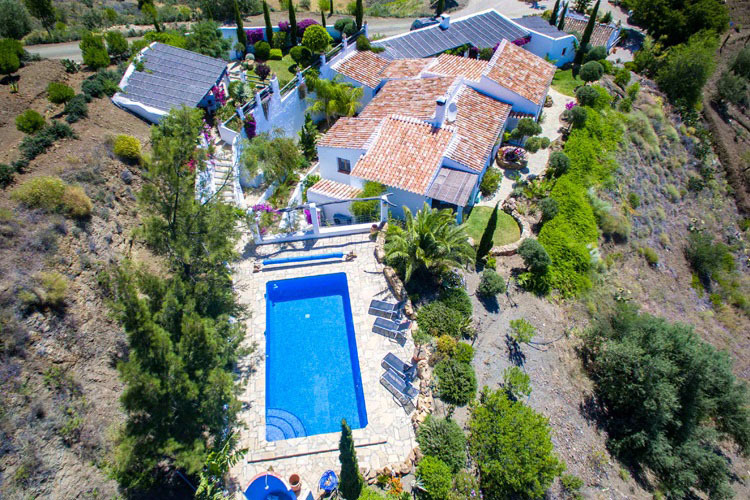 Recently refurbished to a very high standard, the villa couples a stylish interior with fantastic outdoor living space to create the ideal holiday home. 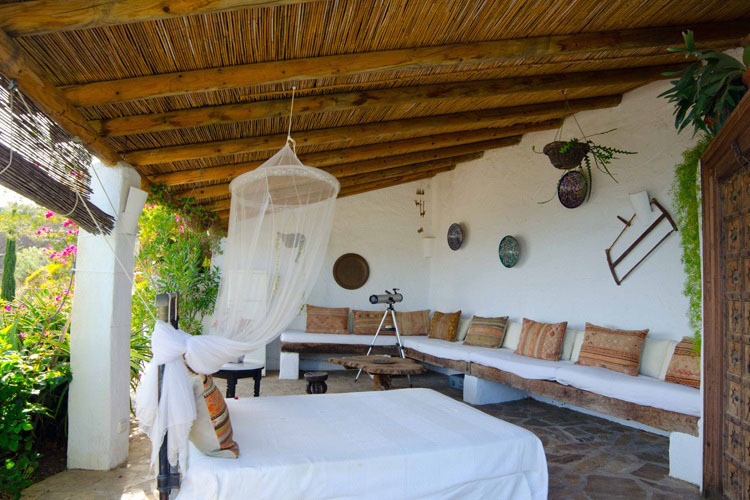 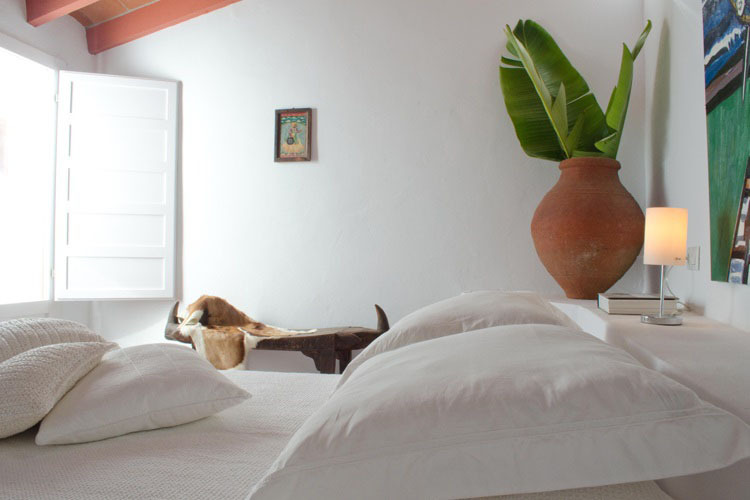 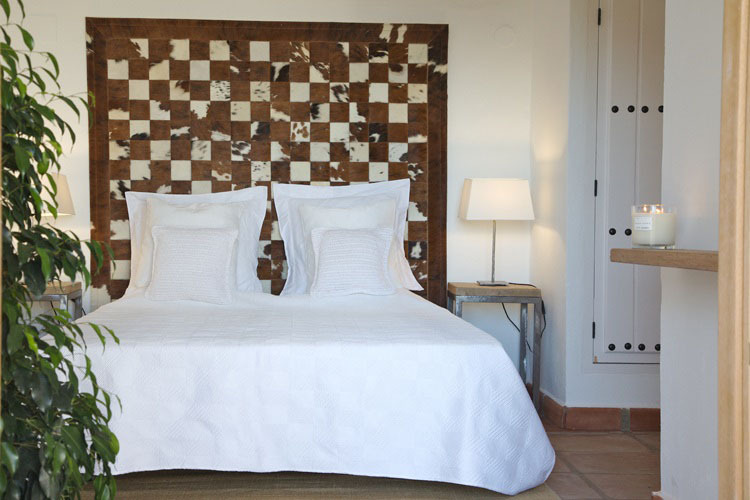 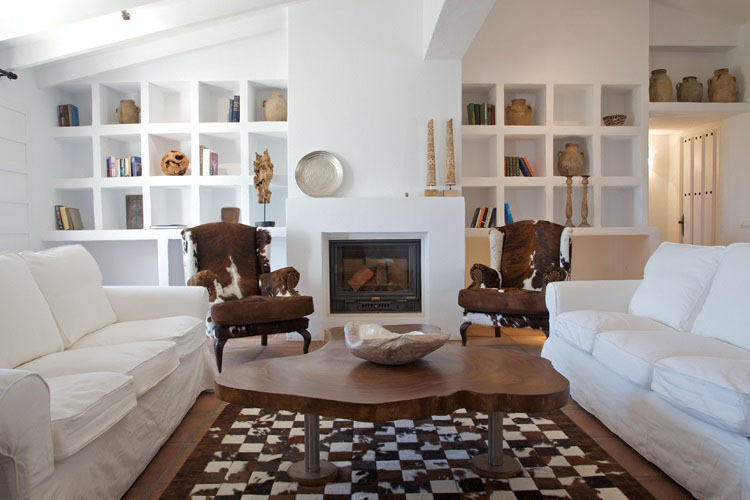 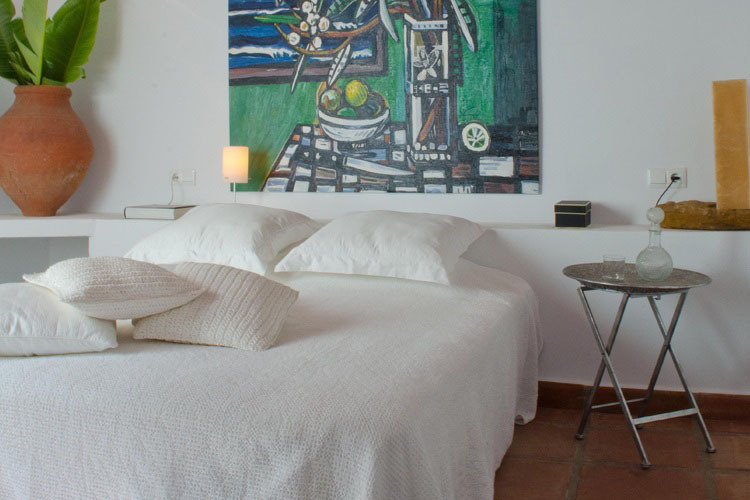 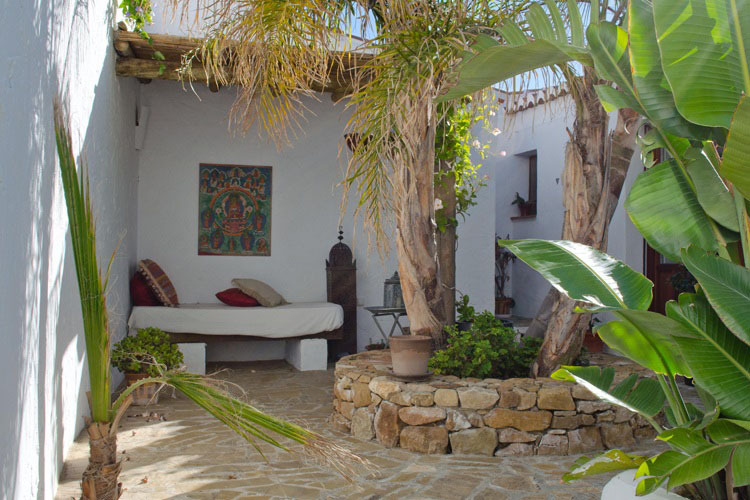 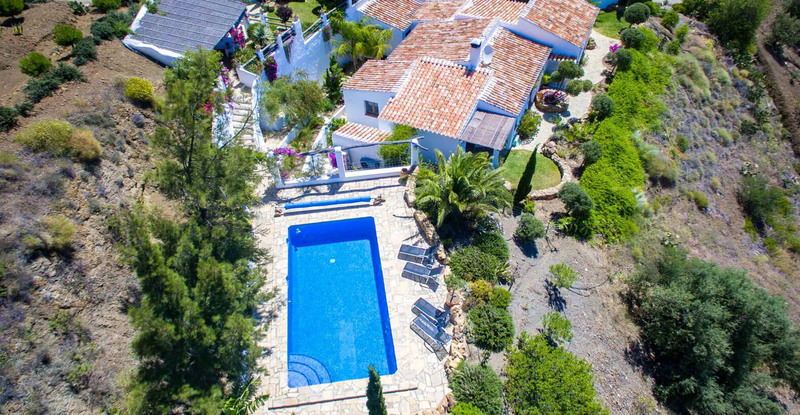 Decorated in a stylish bohemian fashion with art deco furniture, local art and modern touches, this luxury villa features everything you will need for a peaceful and enjoyable retreat, with supremely comfortable bedrooms, beautiful mature gardens and a fantastic heated swimming pool. 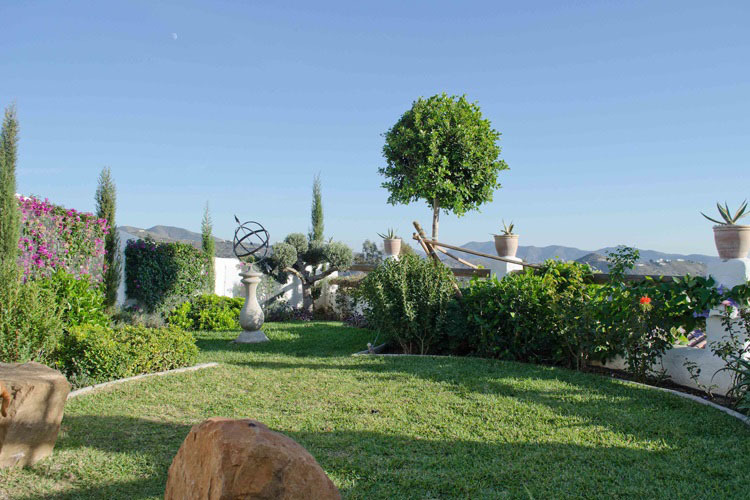 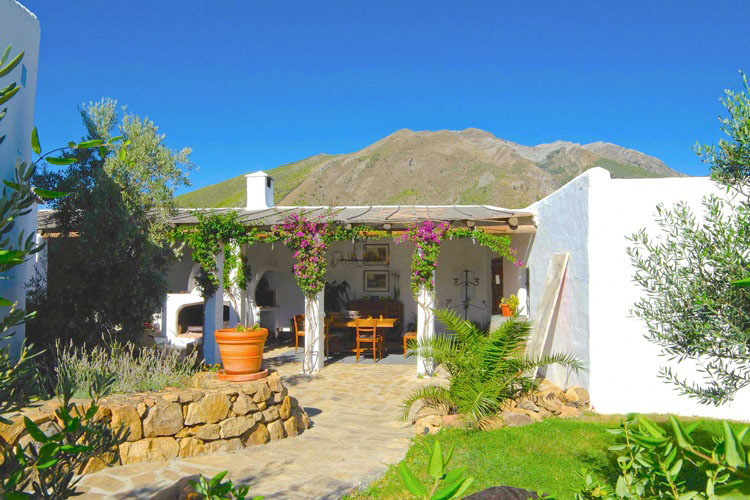 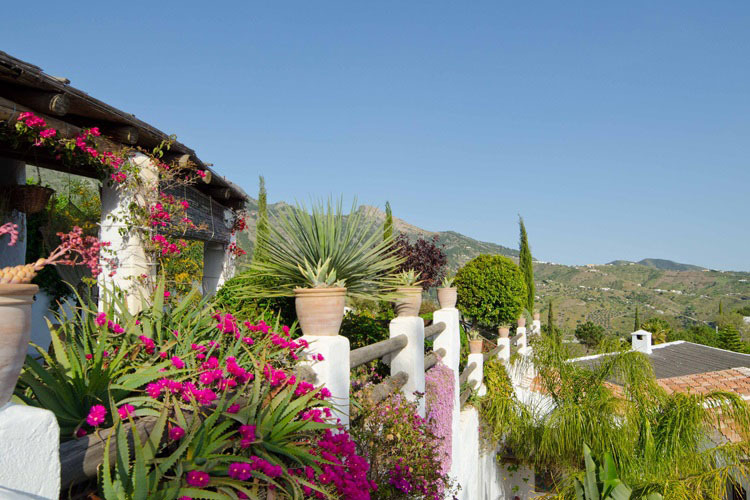 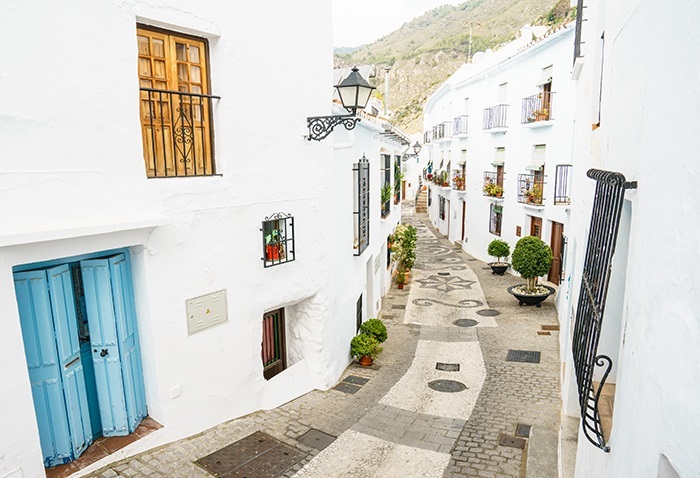 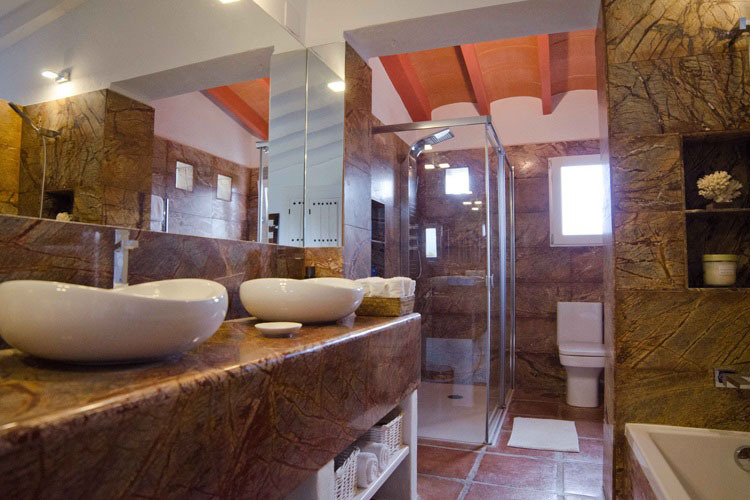 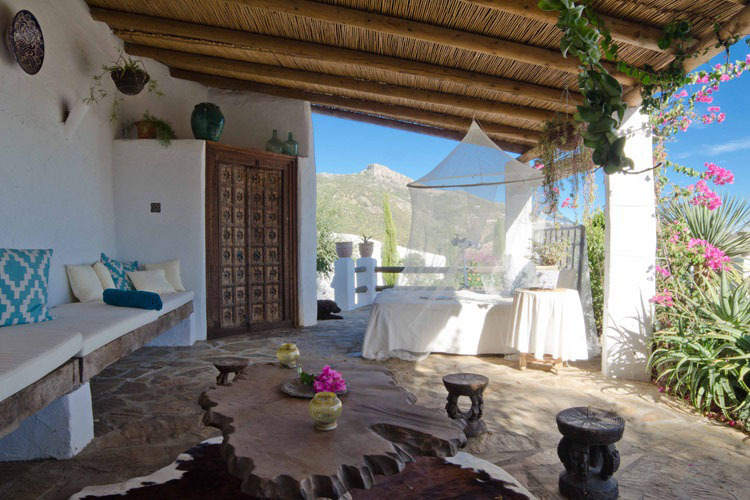 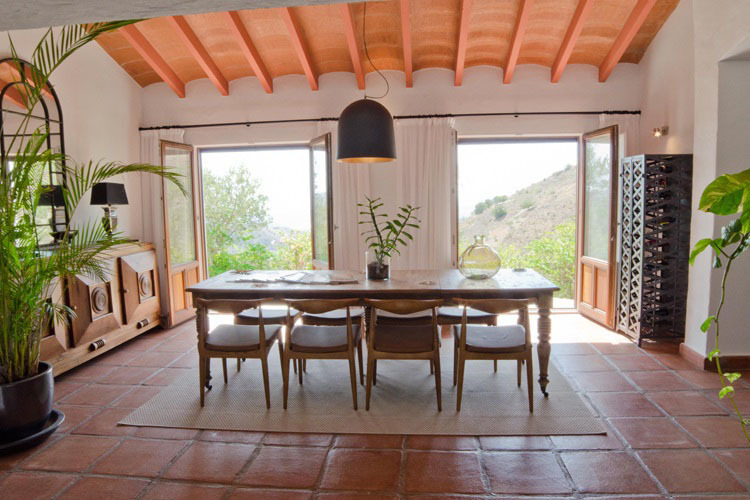 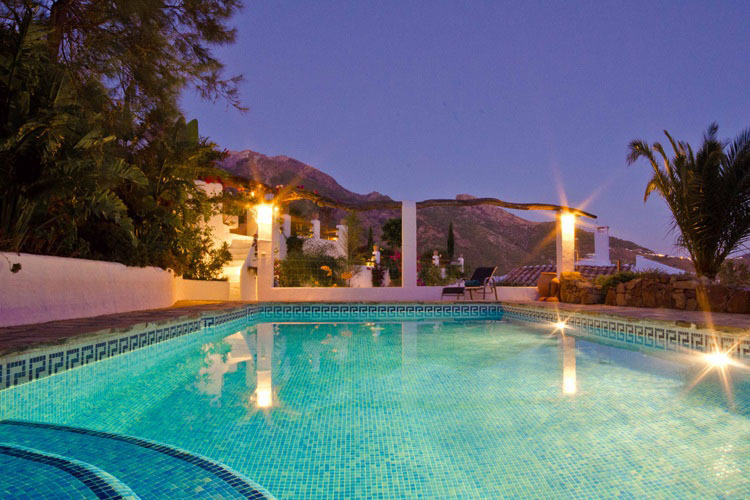 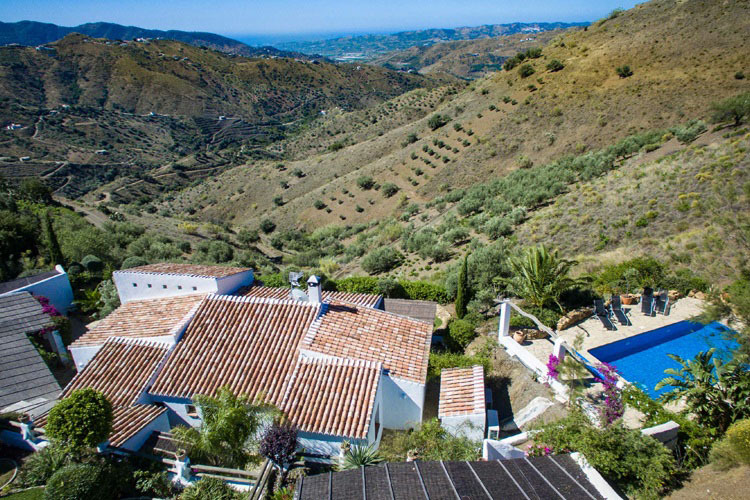 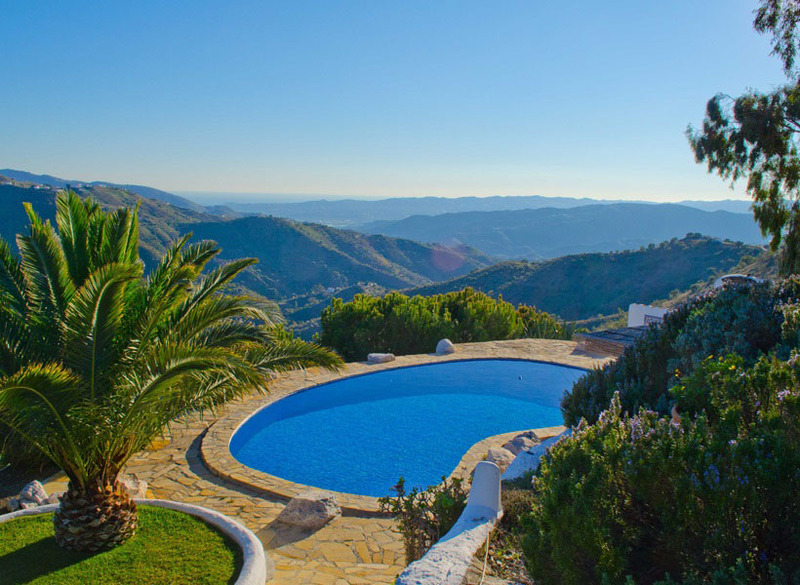 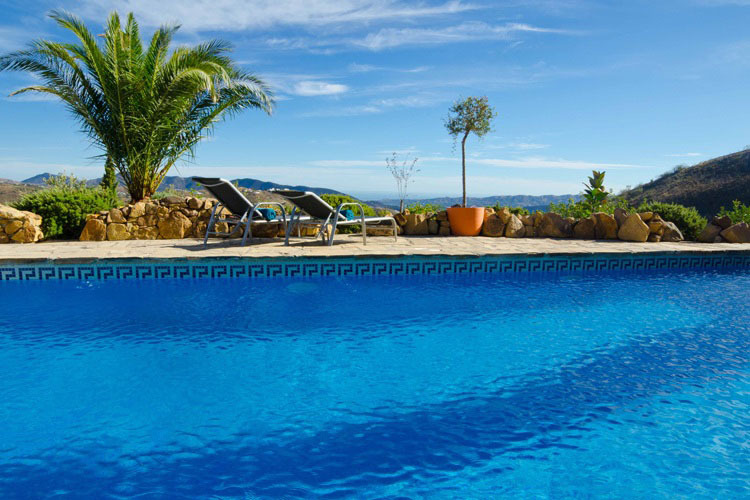 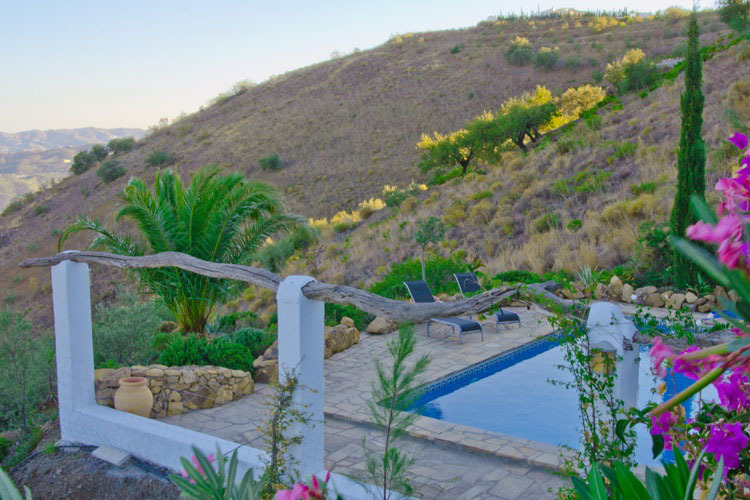 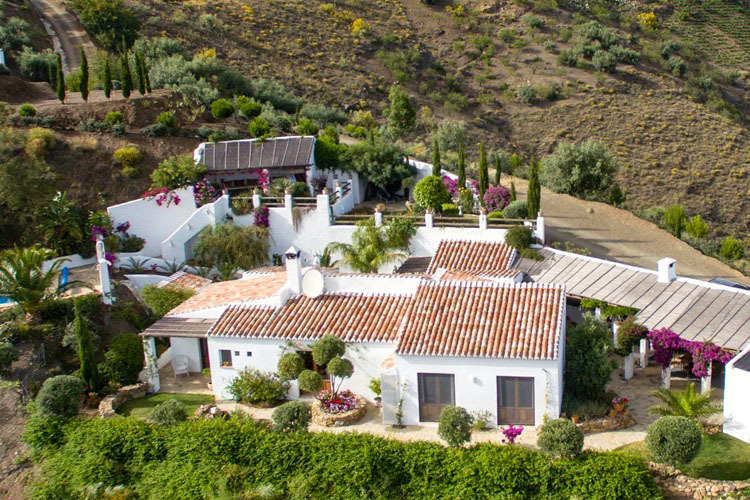 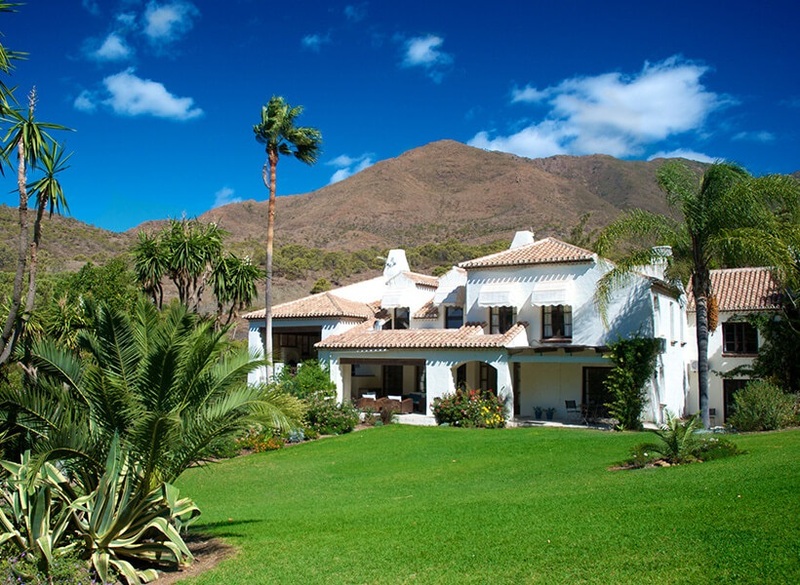 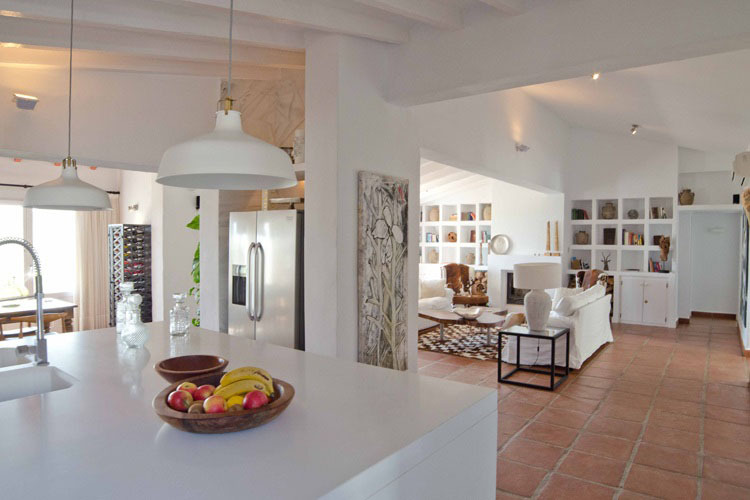 Located in a naturally impressive locale North East of Malaga known as La Axarquia, the property is part of the privately owned El Carligto Estate and can be rented along with a neighbouring property for larger groups of up to 14 people.